What started out as a hobby has turned into a passion. They say every brewer wants to grow up to be a distiller and this has certainly proved true with the creation of Blossom & Hops craft gin. Years of home brewing in Cape Town’s Southern Suburbs gave Trouvaille’s Blossom & Hops craft gin creator Tim James a special appreciation of the hops flower, a botanical that featured in century-old Genever recipes, the forefather of modern gin as we know it. 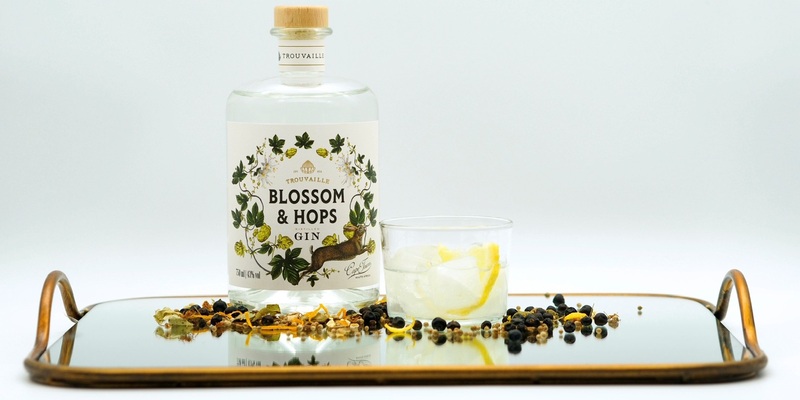 When he started dabbling with a pot still he set out to re-introduce this botanical into the mainstream gin palate and with the help of his partner Teresa this has been achieved with Blossom & Hops craft gin. Hops is traditionally a flavouring and stabilising agent in the production of beer but Tim realised that due to its versatility and massively diverse flavour profiles it would work in gin. Countless experimental infusions later; a lucky find – a pairing that celebrates the earthiness of hops and the charm of lime blossom. A match made in heaven and a traditional gin which is both unique but unmistakably delicious. Blossom & Hops craft gin starts its life as a neutral spirit in which our hardy botanicals are steeped overnight to extract as much flavour as possible. The infused spirit is then distilled with our more delicate botanicals suspended in the vapour trail. The entire pot distillation process is meticulously monitored by expert hands that guide the cuts. In a separate process a single botanical is distilled in order to retain it’s unique character. The final distillates are blended prior to bottling. 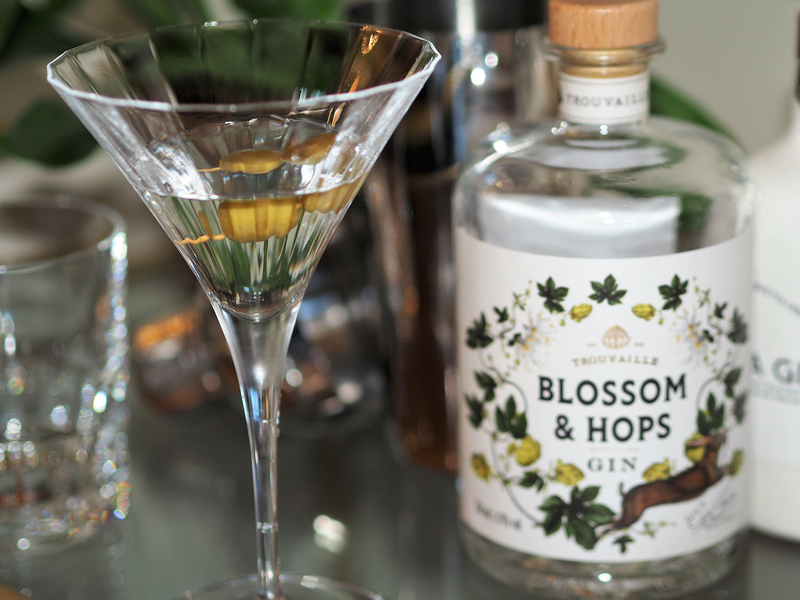 Blossom & Hops is recognisable to the palate as a London dry gin. A juniper-forward gin that celebrates the earthiness of hops and the charm of lime blossom. Our aromatic hop is sourced from the Outeniqua Mountains in the Garden Route, and holds citrus notes that balance the tea leaf notes of the lime blossom. The result; a smooth and delicate craft gin that is unmistakably gin. 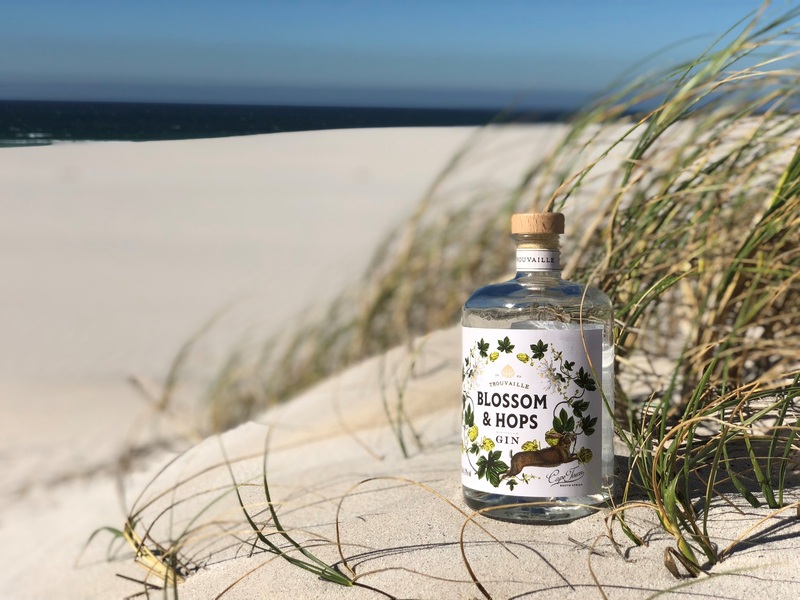 Blossom & Hops craft gin is small batch distilled by our friends at Hope on Hopkins Distillery in Salt River, Cape Town. 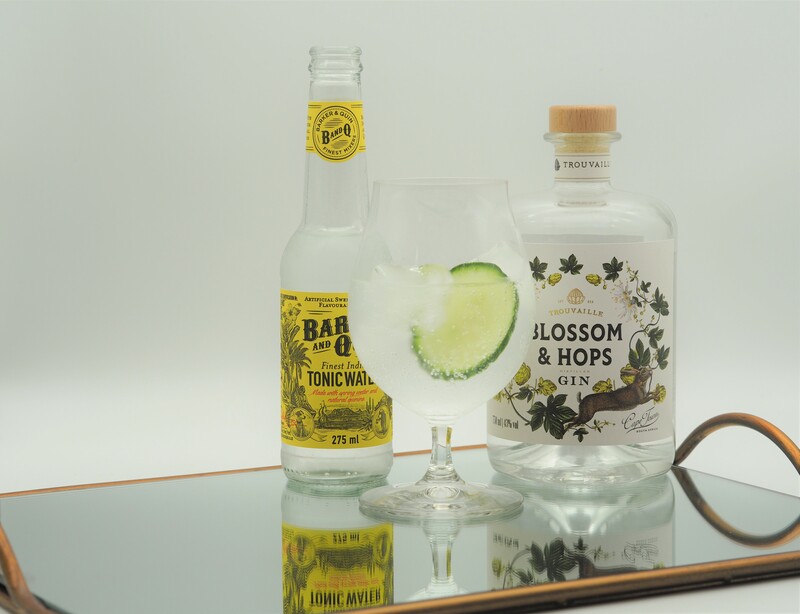 Blossom & Hops gin celebrates the earthiness of hops and the charm of lime blossom. Lovely on its own over ice and perfect as a tonic cocktail with pairings of fresh citrus, rosemary, cucumber, green olives, mint, thyme or pear and peppercorn. Pair with a wedge or zest of either grapefruit, lemon or lime. Fitch and Leeds brings out the blossom notes, both on the nose and on the palate. Add a sprig of mint for the perfect gin cocktail. If you enjoy the earthy hops in our gin, Rosemary and Olive with Goldberg and Sons tonic is your choice of tipple. A lovely refreshing summer cocktail with a softened finish. A modern classic in gin pairings, cucumber just keeps you wanting to come back for more. Barker a Quin tonic is a perfect pairing accentuating the hops notes within the gin. Our stockists are growing daily, please check back regularly if you don’t find a nearby stockist. If your local craft stockist is not on our list, please ask them to stock us. If you would like to stock our gin, find out where we are stocked, or let us know what you think of Blossom & Hops gin, please reach out.